Today is the European Day of Languages! As we celebrate language diversity on the European Day of Languages, we look at the languages spoken across the continent and their origins. The day aims to promote linguistic diversity across Europe by encouraging Europeans to learn other languages, and also to improve awareness of other cultures and the diversity of the continent. This event has been running for almost 15 years and is celebrated at the Council of Europe and in its 47 member states. So, what are the origins of European languages? Most of the languages spoken today in Europe are related to at least one other language, with perhaps the best-known example being the similarity between Spanish and Italian. Some of the more common European languages are broken down into what is known as the ‘big three’: Germanic, Romance and Slavonic languages. While English has many roots in Germanic languages, a study of much of the vocabulary used for everyday matters reveals a closer synergy with Latin. While these languages all share similarities in vocabulary, tenses and genders of nouns, they also can be very different from one another. This is particularly true for Romanian, which is influenced by the Slavonic languages, but is still clearly constructed from Latin. This collection of European languages uses either a Cyrillic (derived from Greek) or Latin alphabet. Each language also has many different verb, noun and adjective endings, along with perfective and imperfective verbs. Outside the ‘big three’ are the Baltic Languages, made up of Latvian and Lithuanian, Greek, Albanian and Armenian, not to mention the Celtic languages, which include Welsh, Irish, Gaelic, Breton and Cornish and Manx. These are, however, no longer in common use. In its 2013 report, Languages for the Future, The British Council identified the 10 languages that the UK needs the most, six of which -Spanish, French, German, Portuguese, Italian and Russian- were European. As the British Council’s report is weighted towards the business needs of the UK, the message to all Brits is clear: to succeed in business, we better start conversing with our European neighbours! 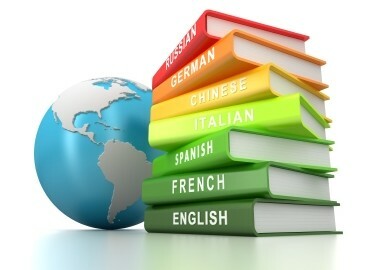 At Comtec we provide high quality translations into and from each and every language spoken in Europe. Get in touch on +44 (0) 1926 335 681 or email us on info@comtectranslations.com to find out how we can help you with your translation requirements.